"The Rambouillet text, which called on Serbia to admit NATO troops throughout Yugoslavia, was a provocation, an excuse to start bombing. Rambouillet is not a document that an angelic Serb could have accepted. It was a terrible diplomatic document that should never have been presented in that form". 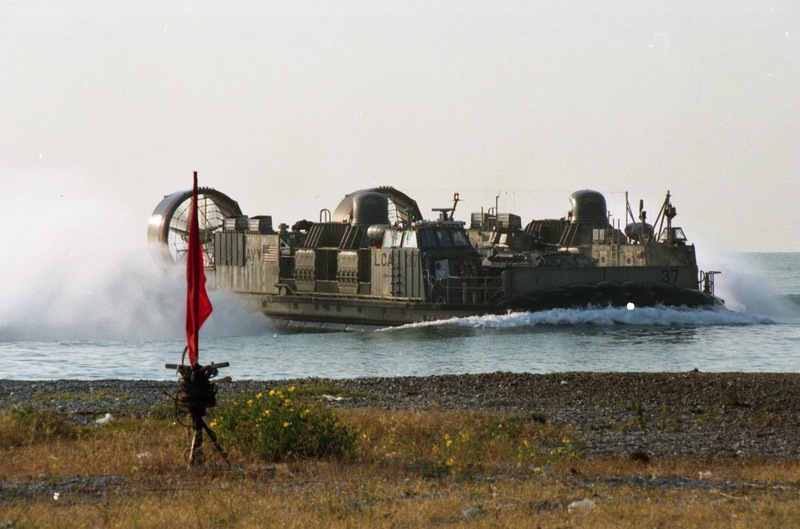 In the end, on 18 March 1999, the Albanian, American and British delegation signed what became known as the "Rambouillet Accords" while the Serbian and Russian delegations refused. 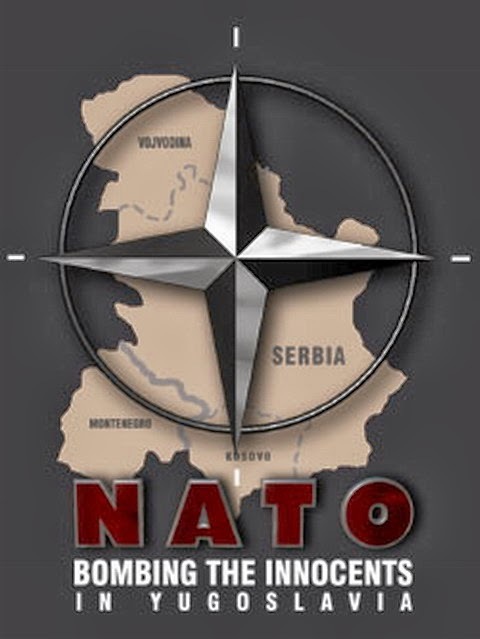 The accords called for NATO administration of Kosovo as an autonomous province within Yugoslavia; a force of 30,000 NATO troops to maintain order in Kosovo; an unhindered right of passage for NATO troops on Yugoslav territory, including Kosovo; and immunity for NATO and its agents to Yugoslav law. It was 20:00 at night of the 24th March of 1999 when the first bombs delivered in the body of the Federal Republic of Yugoslavia... It was exactly 15 years ago when NATO's "Merciful Angel" was launched! 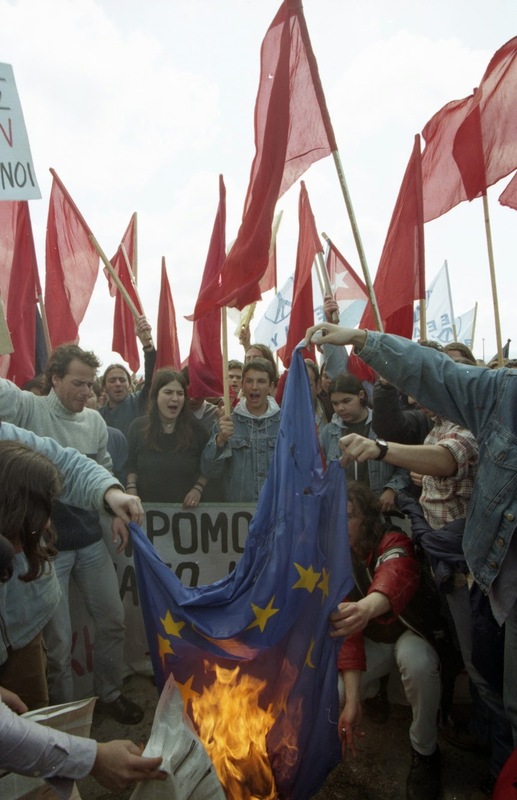 For the next 78 days the people of FR Yugoslavia were the living target of NATO killing machine, participating in the biggest European conflict after the WWII!!! More than 1100 air fighters lifted off from 59 bases in 12 different countries in order to operate around 2300 air raids against Yugoslavia. 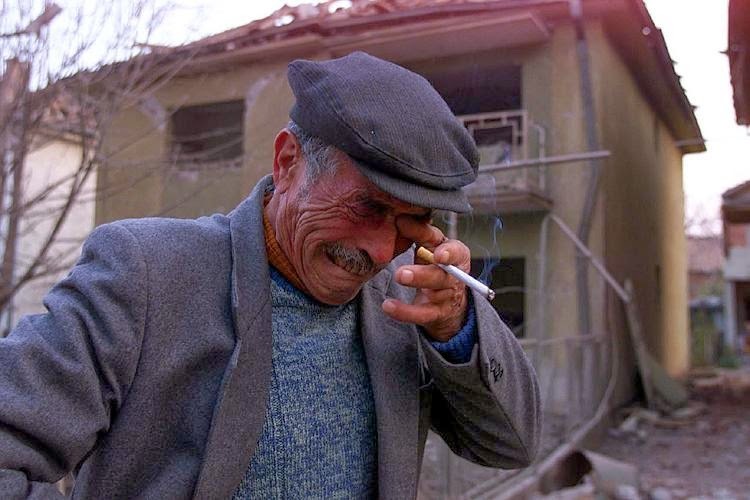 The results of NATO's "humanitarian intervention" were the killing of almost 3000 people (2000 of them civilians) and the injuring of another 6000! The damage in the infrastructure of the FR Yugoslavia estimated up to 100 billions dollars (including heavy damages of road and rail network, factory facilities, schools even monasteries! NATO (19 countries participated in the campaign, most of them members of E.U too) celebrated with this unique way its 50th anniversary! 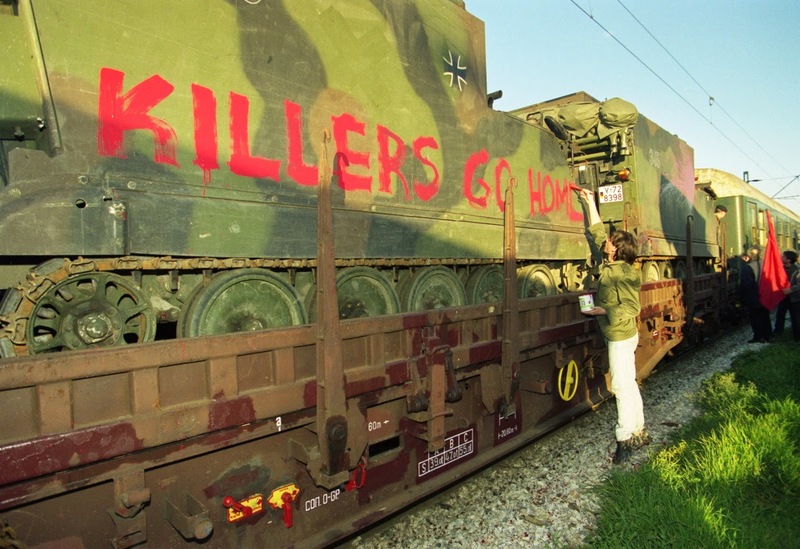 The damages would be much higher if the people didn't protect bridges and other facilities (like the Zastava factory in Kragujevac) by using their own bodies as human shields! 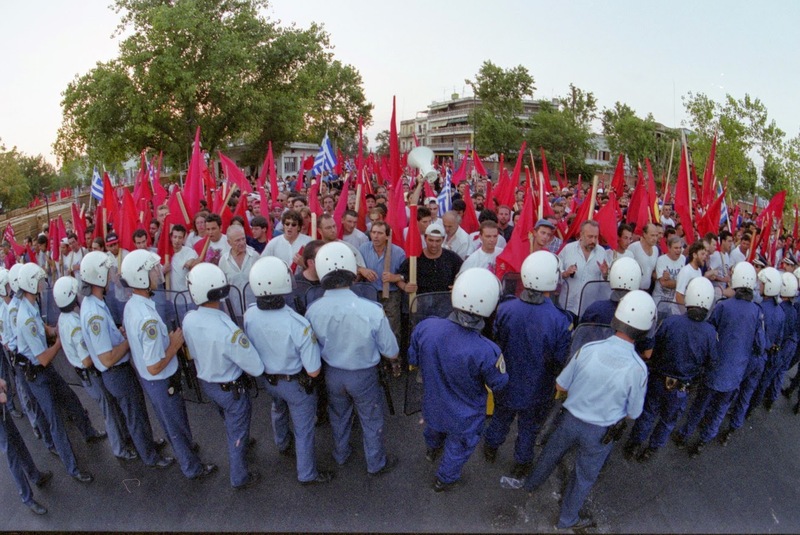 "NATO & European Union are the pillars of power and prosperity for Greece"
Every single moment during these 78 days the Greek people showed actively, with every possible way, its solidarity with the people of Yugoslavia. 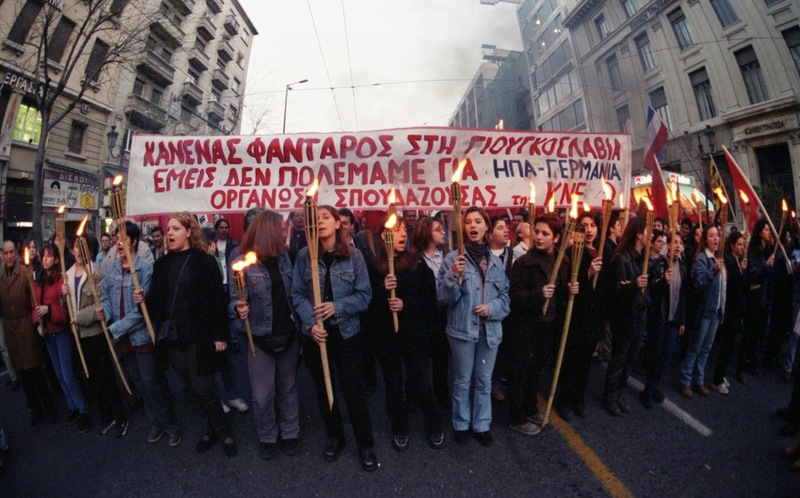 Countless were the demonstrations organised by the Communist Party of Greece (KKE) and other anti - imperialistic and peace organisations all over the country. 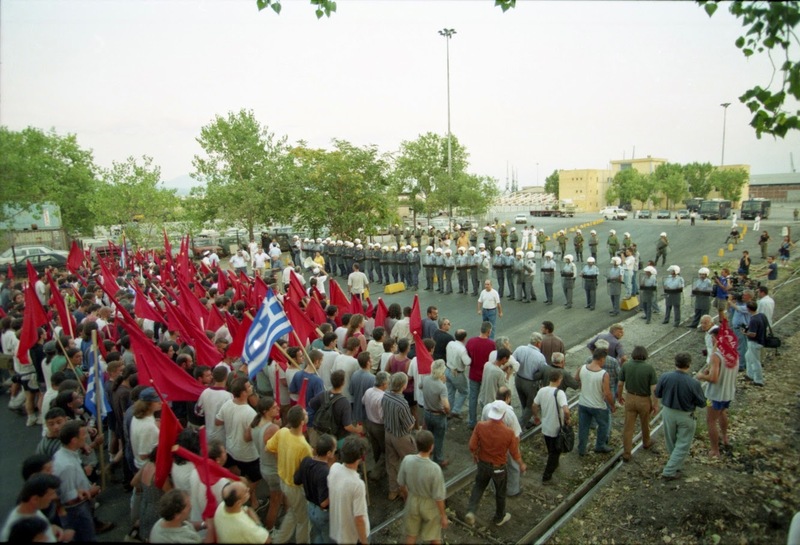 Blockades of facilities (like the port of Thessaloniki, NATO's military bases operate in Greece, railways etc), solidarity concerts in many cities , delegations of trade union members who visited the neighbor country during the air raids, even a friendly football game between the teams of AEK Athens and Partisan Belgrade took place in Belgrade! 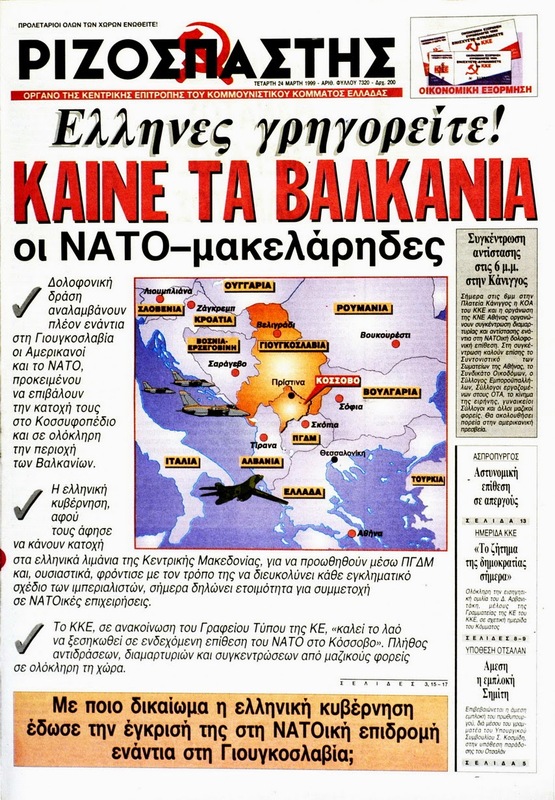 Beside the fact that almost the 90% of Greek people were against the NATO bombings as well as any involvement of the Greek armed forces in the operations, the Greek social-democrat government of PASOK made whatever was asked by the NATO and US officials participating also in the crime! ps. 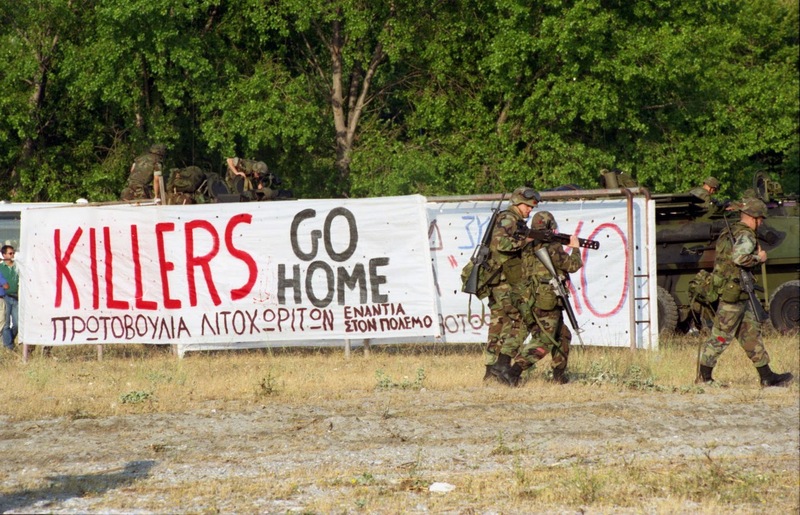 Dedicated to Jens Stoltenberg NATO's new general secretary. Αναρτήθηκε από Død στις 10:18 μ.μ.